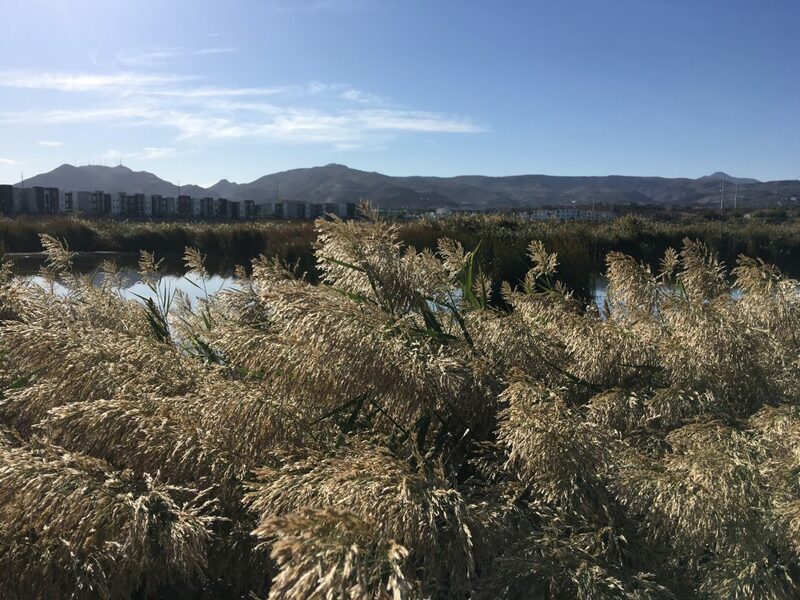 One of Nevada’s premiere city parks, the 31-acre Cornerstone Park has a lake (not for swimming) and is connected to two trails: the Pittman Wash and Union Pacific Railroad trails. Among the amenities: plaza area, large pavilions, restrooms, lighted basketball courts, lighted volleyball courts, open grass area, covered picnic tables and walking trails. History: The park opened October 6, 2012. Birds: American avocets, great egret, black-necked stilt, long-billed curlew, ring-billed gull. Resident species — pied-billed grebe, double-crested cormorant, Canada geese, snow geese, mallard, American coot, great blue heron, green heron, killdeer, Anna’s humming bird, Costa’s hummingbird, black phoebe, Say’s phoebe, cliff swallow, yellow-headed blackbird, and great-tailed grackle. The parks hosts the annual Bark in the Park celebration the first or second Saturday in March.